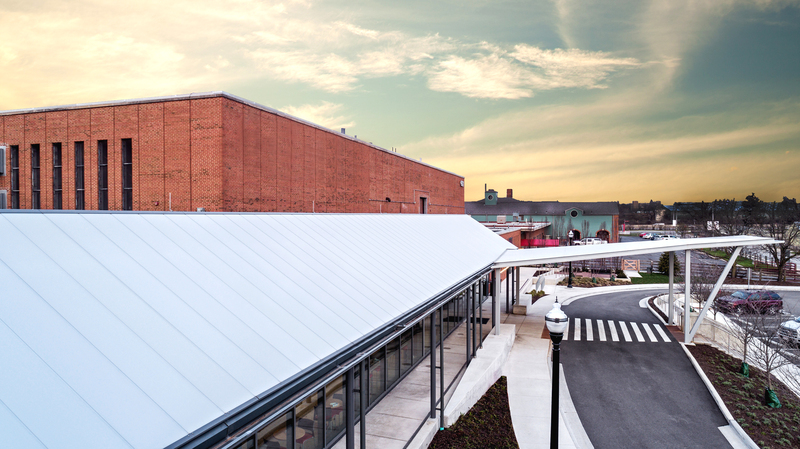 Engineered for long spans, high winds and snow loading conditions, Exterior Technologies, Inc. (EXTECH) introduces its SKYSHADE 8000® standing seam canopy system. It is ideally suited for commercial and industrial canopies, pavilions and walkway covers. The aluminum-framed system's patented design offers continuous mullions that rigidly clamp translucent, structural cellular polycarbonate glazing (CPG) panels. 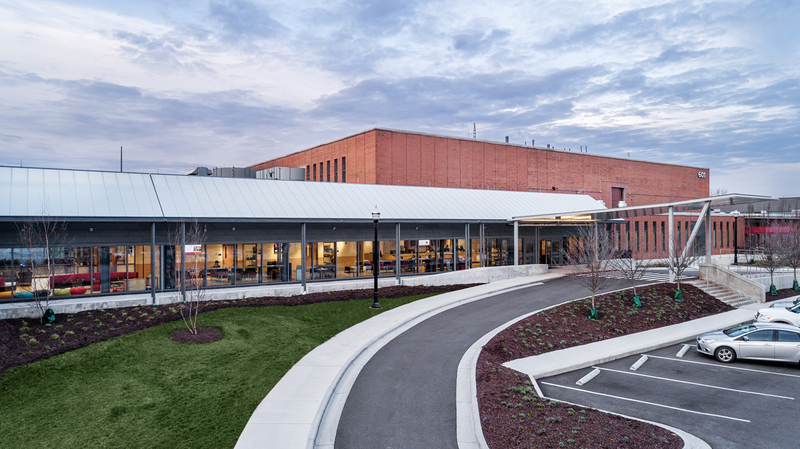 EXTECH's SKYSHADE 8000 new canopy system's translucent, continuous runs provide daylighting, UV screening and impact resistance. "Our SKYSHADE 8000 also withstands extreme wind loads, which makes it the perfect system for areas that are hurricane prone," adds Jim Leslie, EXTECH's general manager. "The canopy's long panels – up to 54 feet long – also eliminate the need for leak-prone, horizontal interruptions in the glazing," he continues. "The smooth upper surface gives SKYSHADE 8000 an aesthetically unique and contemporary look unlike any other system on the market." Encouraging creative and versatile designs, EXTECH's new canopy system is offered with a wide range of edge detail options. CPG panels are available in a matte finish and a variety of colors. Optional coatings for the glazing panels enhance solar heat gain management and diffuse lighting without glare. It can accommodate slopes as low as 2:12. Custom rafter shapes and designs may be requested. EXTECH's SKYSHADE 8000 canopy can be ordered as a self-supporting rafter system meeting the required loads, or as an overlay to an existing structure. Head and sill conditions can be framed or unframed. All of EXTECH's systems are manufactured at its facility in Pittsburgh. The SKYSHADE 8000 is delivered fully fabricated. This not only ensures performance as specified, but also saves time and costs through reduced field labor. If future updates are desired or repairs needed, the CPG panels are individually replaceable. EXTECH's SKYSHADE 8000 uses an advanced aluminum clamping framing design that accommodates thermal movement in the CPG panels of any significant length. This durable framing system uses recycled aluminum as standard and may be specified in a broad choice of finish types and colors. After its useful life as part of a canopy, the metal is 100 percent recyclable. To order a sample and learn about EXTECH’s SKYSHADE 8000, please visit the product webpage. For more information on EXTECH’s products and services, please call 800-500-8083, email info@extechinc.com or visit https://EXTECHinc.com.